Ronald P. Gebhart, 43, of Fortville, passed away unexpectedly on December 3, 2018. He was born October 20, 1975 in Indianapolis. Ron was an Indianapolis Fire Fighter assigned to Station #23. Before becoming a firefighter, Ron worked for Seals Ambulance Service as an EMT. Ron had also served as a volunteer firefighter at Wayne Township Fire Dept. He was a member of the International Association of Fire Fighters Local 416 and the Indianapolis Firefighters Emerald Society. 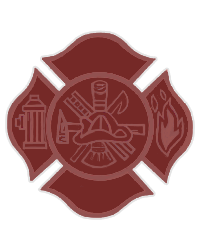 Ron attended Southport High School and in his spare time, he was a skilled leather craftsman who made wearable equipment for fellow firefighters. Ron is survived by wife Brooke Nigh, whom he married September 9, 2016; daughters: Alexis Elizabeth Gebhart, Makayla Ann Gebhart and Mackenzie Ann Nigh; mother: Kathy (husband Charles) Yaryan; father Ronald Gebhart; sister Gina (husband Randy) Swindle, brothers: Scott Gebhart, Andrew Yaryan and Benjamin Yaryan as well as numerous aunts, uncles, cousins, nieces and nephews. Spokane Valley WA, 99215. Services entrusted to Seals Funeral Home, Fortville. Online condolences may be shared at www.sealsfuneralhome.com.